One of Cee4life’s ground staff observed a seagull struggling with fishing line wrapped around its feet. A rescue mission began immediately to relieve the gull. 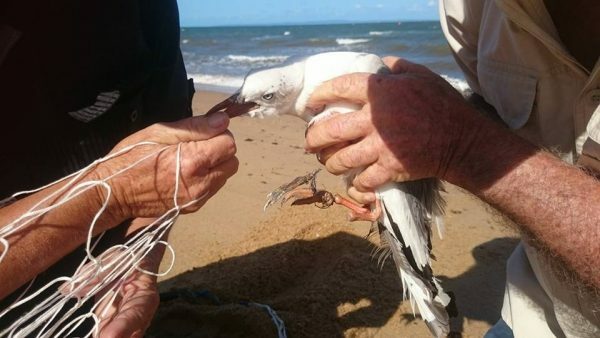 The discarding of fishing line in the oceans is far too common in Australia. Dont throw your fishing line in the sea. Its death to marine life and sea birds.